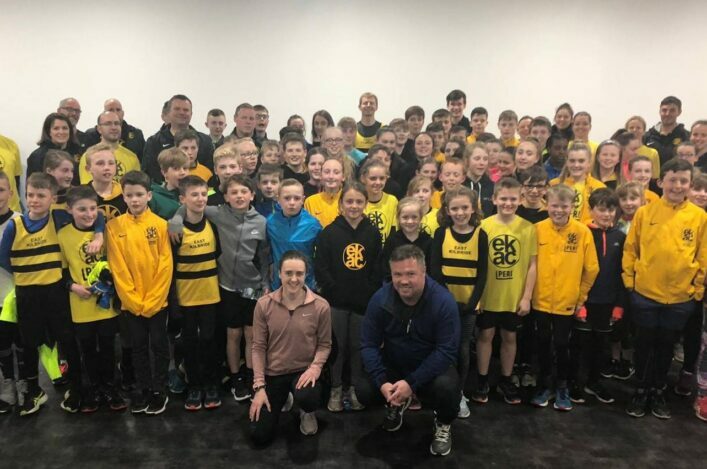 It isn’t too often Scotland have the chance to raise a trophy in athletics – regardless of the discipline, distance or event. 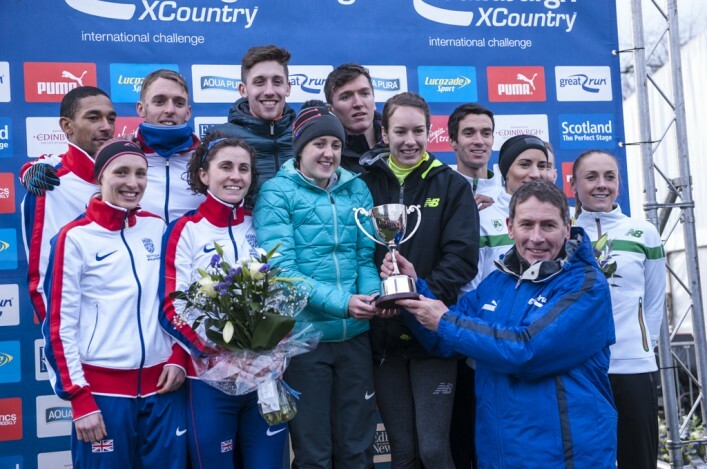 So there was certainly a marvellous feel-good factor around Holyrood Park when Scotland A won the 4 x 1K International Relay at the Great Edinburgh XC to lif the new trophy, the Stewart Cup. Athlete of the Year Laura Muir led home the quartet from the challenge of GB and third-placed Ireland and it was a real team effort. Opening runner Cameron Boyek set up the lead on the first change-over and Scotland always looked dominant despite pressure being applied to Steph Twell and then Jake Wightman. When Muir took over with a slight lead she was able to build on that more than enough to send roars around the traditional Holyrood Park New Year setting before actually crossing the line. It landed Scotland the Stewart Cup, named after Meadowbank 1970 heroes Ian and Lachie Stewart, and a $5000 first prize. A delighted Ian Stewart was there to make the presentation in person. 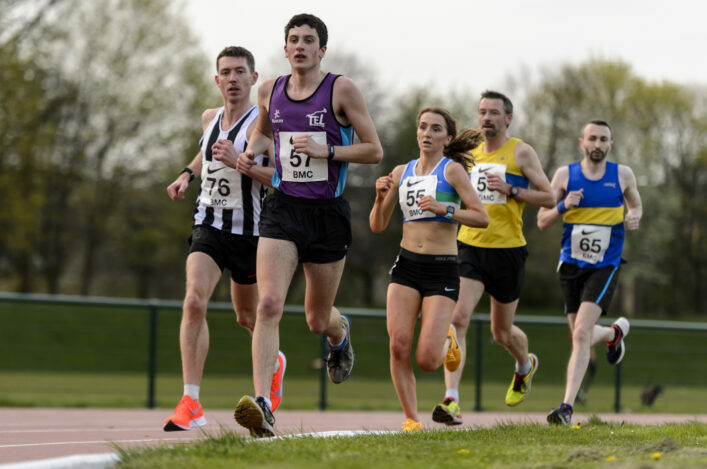 Scotland B finished eighth in the end, but had actually been second at halfway thanks to a fine start by Neil Gourley, and particularly Emily Dudgeon, before giving way to teenagers Josh Kerr and Carys MacAulay. ‘It was just brilliant to win the Cup in front of a home crowd and the atmosphere around the park was terrific,’ beamed Muir. 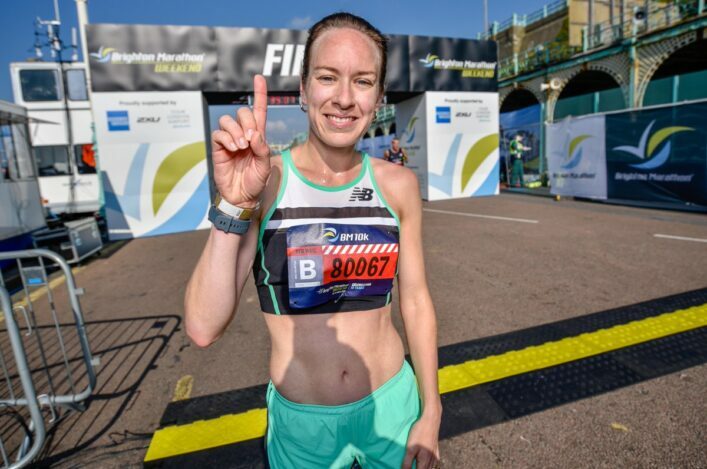 ‘I felt a wee bit of pressure taking it on the anchor leg with us ahead – but I was so determined not to let anyone down. I was thinking ‘there is no way I can let us lose this now’. I’m so proud of the team because there were a number of good athletes in the other teams. ‘It was a really good team with I think good runs by all four athletes. Actually, at halfway, I was standing watching and well aware Emily had put the B team in a really strong position, too. ‘I raced this event last year but it was only two legs and fewer teams. The format today was ideal and the crowd seemed to love it. With four runners, two men and two women, and eight teams it was just about set-up perfectly. With vet student Muir there is almost always a university angle in the background and anyone who thought that might have been different this weekend, after almost three weeks of training in South Africa and a return to these shores in midweek, was proved wrong. ‘I got back to Glasgow at 12 noon on Thursday and had to go straight into Uni,’ said Laura, typically matter-of-fact. 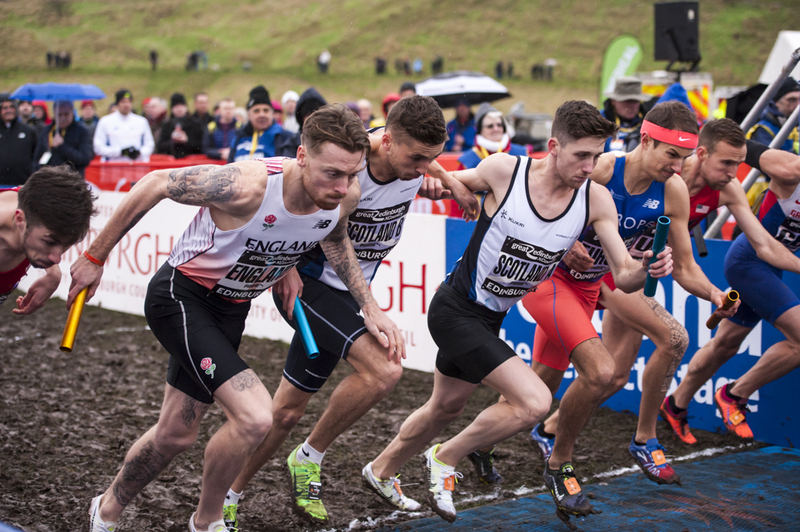 Scotland ended up with three gold medal-winning teams out of six races in the Celtic Nations XC. 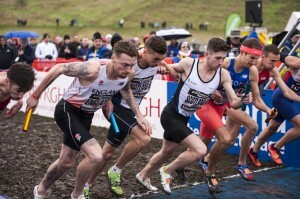 The races were held within others – the U23 taking part in the Inter-Districts and the U20 and U17 events bracketed with the Junior International Races. 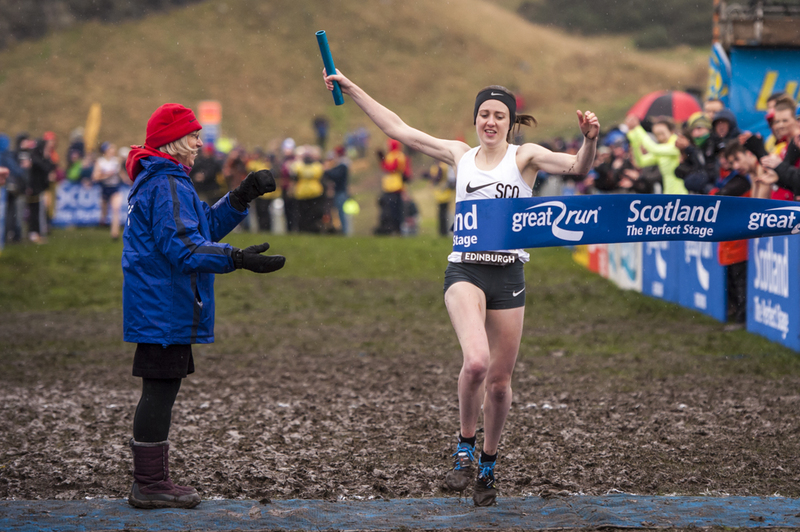 There were a couple of individual gold medals in Celtic Nations XC terms, too, via Sean Chalmers at U23 and Erin Wallace in U17. There were also no fewer than four silvers. Both teams did well at U23 level. The women missed out by a point on a tie with Ireland while the men’s had a 1-2-3 finish. The U20 Women won their team race but the U20 Men were third. The U17 Women were emphatic winners but the U17 Men were also third.